It’s been a big question since the release of Pokémon GO, but nobody, until now, seems to have figured out. Just how does the evolution of Eevee play out? We shall be getting to that in a bit, but for the benefit of those who have only started checking out our Pokémon GO strategy guides now, let’s give you a bit of a backgrounder on evolution, as you probably know the basics of the game. Evolution allows you to transform your Pokémon into a more powerful version of itself, but in order to do that, you’ll need to have some Candy corresponding to the Pokémon you are trying to evolve – this resource, as we’ve said before, is Pokémon-specific, meaning you need Eevee Candy to evolve Eevee, and so on, and so forth. Now that we’ve given you the basics of evolution, let’s go back to Eevee, whose evolution had been a mystery since the release of Pokémon GO. That mystery, as we’ve found out in recent days, may have been solved by a Redditor calling himself “smithnigel,” so let’s cut to the chase and bring you our latest Pokémon GO strategy guide – a look at how Eevee’s evolution works. The very first thing to do when trying to evolve Eevee, according to smithnigel, is to rename it. But that’s where things get interesting, as you’re going to have to use specific names that play into the different evolutions. Renaming Eevee as Sparky will allow it to evolve into Jolteon. Naming it Rainer will allow it to evolve into Vaporeon. And last, but not least, renaming it Pyro will turn it into Flareon. 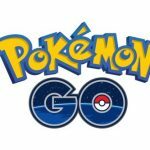 If you’ve heard about this workaround before, a few other Redditors had thrown it around on the Pokémon GO Reddit prior to smithnigel’s post. But he appears to be the one who had made the definitive discovery, and that’s happened at the same time more and more players have tested his trick out and discovered that it works. So to sum it all up – the different evolutions of Eevee can be controlled by your choice of names. 2. What’s With The Names? Actually not a tip, but a piece of useful trivia for those who aren’t familiar with the Pokémon anime series. Aside from having names that tie into the type of evolution, the Pokémon anime’s Eevee Brothers owned their own evolutions of the Eevee Pokémon – brothers Rainer, Pyro, and Sparky owned a Vaporeon, Flareon, and Jolteon respectively, and that’s probably why Niantic slipped that Easter egg into Pokémon GO. 3. Which Of The Evolutions Is The Best? Now you may be asking which of Eevee’s evolutions is the best one to use, and the best one to defend your gyms. Most people would opt for Vaporeon, who boasts the highest HP figure of the three variants, and has the potential to gain the most CP. Not surprisingly, Central Park in New York was stormed by people recently, after having been informed of a Vaporeon sighting in the area. 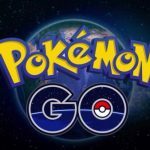 That resulted in a stampede of sorts, as well as a viral video showing the stampede that has been used to demonstrate just how wildly popular Pokémon GO is with such a wide range of people. 4. Where Can You Find Eevee? Fortunately for you, if you’re trying to look for Eevee, you’ll find that it’s comparatively easy to do so – Eevee is not one of the rare-or-better Pokémon we had featured over the past few days, and is fairly common. This Pokémon also does not have a specific type, which means you won’t need to look near schools for electric types, near swamplands for poison types, etc. But if you’re still having a hard time hunting Eevee down, the best thing to do would be to go hunting in areas with a large population density. That could mean going to the mall, or probably heading outside a school campus, or anywhere that may be teeming with humanity. Better yet, follow the lead and go to those large groups of people playing Pokémon GO, as chances are someone had dropped a lure module somewhere, thus making it easier for you to catch a Pokémon. Alternately, you can hatch Eevee from eggs, but the eggs in question would be 10km eggs, which take longer to hatch than the 5km and 2km varieties. We would suggest that you exercise patience if you’re planning to acquire Eevee this way, but if you’ve got little of it, the above tips should work well enough if you’re trying to add more Eevees for Candy and the evolution process, or trying to catch your first one.